This past week, the words “Je suis Charlie” (“I am Charlie”) have traveled the world in sympathy with the victims of the deadly jihadist terrorist attack on the French satirical weekly Charlie Hebdo, for which Al Qaeda in Yemen is now claiming responsibility. Among the slain were five of France’s most celebrated cartoonists. 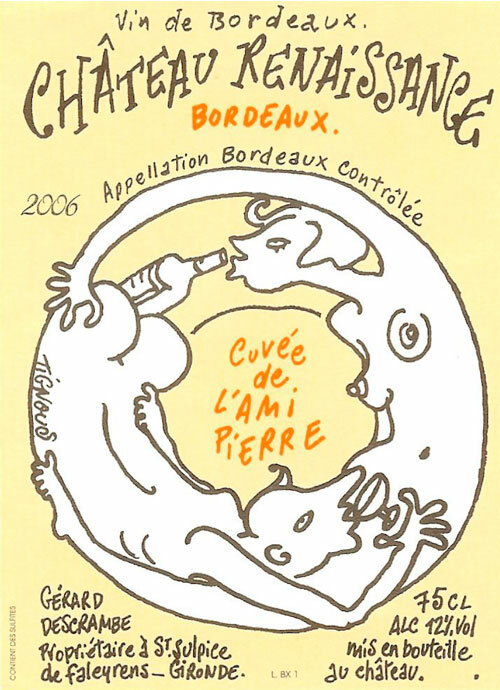 Three of them were also among the country’s most outrageous wine label designers. 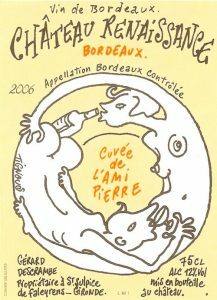 The cartoonists’ careers as label designers began in the early 1970s, when Descrambe and his brother, Christian, took over from their father at Château Barrail des Graves, in the St.-Emilion appellation.